Can chronic pain be overcome? Or better yet, maybe can we take our pain and allow it to become a powerful spiritual teacher. Join author and pain transmuter Sarah Anne Shockley as we explore how overcome or at least live more easily with chronic pain. Sarah Anne Shockley is the author of The Pain Companion. In the Fall of 2007, she contracted Thoracic Outlet Syndrome (TOS), which is a collapse of the area between the clavicles and first ribs, and has lived with debilitating nerve pain ever since. She has been a regular columnist for Pain News Network and is a regular contributor to The Mighty, a 1.5 million–member online community for those living with chronic illness and pain. Lisa Campion is a psychic and energy healer with 30 years experience. 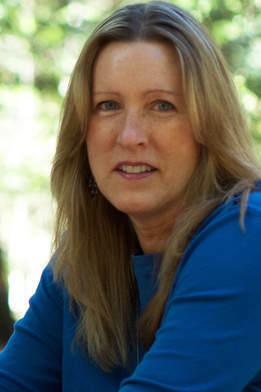 Lisa incorporates body centered counseling into her psychic readings and is also adept in many kinds of healing techniques, including Reiki and Full Spectrum Healing. Lisa's specialty is working with emerging psychic, empaths and healers so that they can fully step into their life's purpose since she passionately believes that the world needs all the healers that it can get. Lisa has been teaching Reiki for 18 years and has trained hundreds of Reiki students. She also teaches psychic development classes of all levels. Lisa is the Dean of Students and a lead teacher at the Rhys Thomas Institute, which is a world famous energy medicine school and a powerful personal transformation program. Lisa enjoys writing her own blog, in which she frequently cracks herself up and delights in sharing that with others. She is also the author of the upcoming book, "Reiki For Psychics and Empaths."